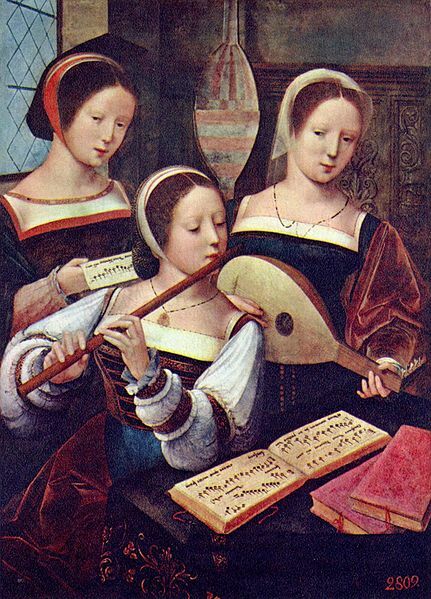 High prices frequently keep people from buying their first lute. Since little can be done with the help of machines, most of the work in lutemaking is handicraft. In addition the instruments come as individual items. 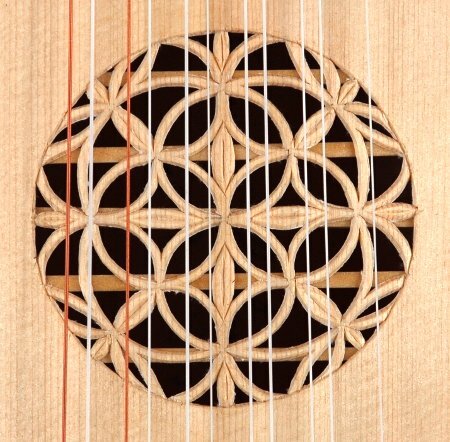 Nevertheless I would like to offer some suitable models for a smaller price to make it easier for interested customers to start getting involved with the lute. This is feasible only by consistently omitting all details that are not essential. This way you get instruments which are highly authentic though. The lute by Hans Frei, which serves as model for my student lutes, is now preserved in the Kunsthistorisches Museum Vienna. It has survived as an 11 course (baroque) lute, but was presumably built as a 6 course instrument in the first half of the sixteenth century and was adapted to the requirements of each succeeding period of time. The lutes shown in museums are mostly much adorned luxury instruments, that even when not playable any more were kept for their high decorative value. Plain instruments can rarely be seen but in paintings. My simple instruments are plain in the choice of materials and have no decoration except for the rose. For the soundboard though, being the most important part for the sound, I use spruce. All working processes are done accurately. This way you get reasonably priced instruments which are comfortable to handle and sound surprisingly well - it's just that they are kept simple. There are simple versions of instruments for renaissance and baroque lutes and continuo instruments. Ultimate decisions about materials and design are left to myself. Would you please accept that special requests for extra decoration or different roses do not fit with the concept of "plain instruments". For prices see catalogue.